We are manufacturer and supplier of Buttweld Pipe Fittings for Chemical and Pharma Industry. The offered fittings are used for connecting pipes in various industries including food processing, refineries and chemicals. Material grade SS304 , SS304 L , SS316, SS316L, SS 316 TI, and many more. 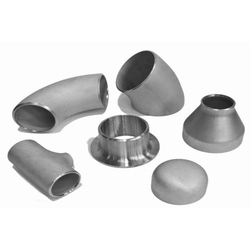 Looking for Buttweld Pipe Fittings for Chemical and Pharma Industry ?